The curriculum we offer all of our children is provided through a series of planned themes, which are created and implemented by our teaching staff and in line with the New Primary Curriculum of 2014. All our themes begin with a 'WOW Starter' or Learning Hook. This may be an external trip or a visit in school, which is designed to engage the children and stimulate interest in the new theme. to fulfil all the requirements of the National Curriculum and the Locally Agreed Syllabus for Religious Education. In addition to the National Curriculum we also offer the children a Core Skills Curriculum. This is to help support the individual needs of our children and positively prepare them for their future. When designing our school curriculum the staff plan all learning with unique elements of our school in the forefront of their minds. All theme based plans and primary school experiences are created with these 3 unique elements in mind. Recently the staff reflected on some of the valuable experiences our children and families have had because of who we are, where we are and what makes Tottington so special. 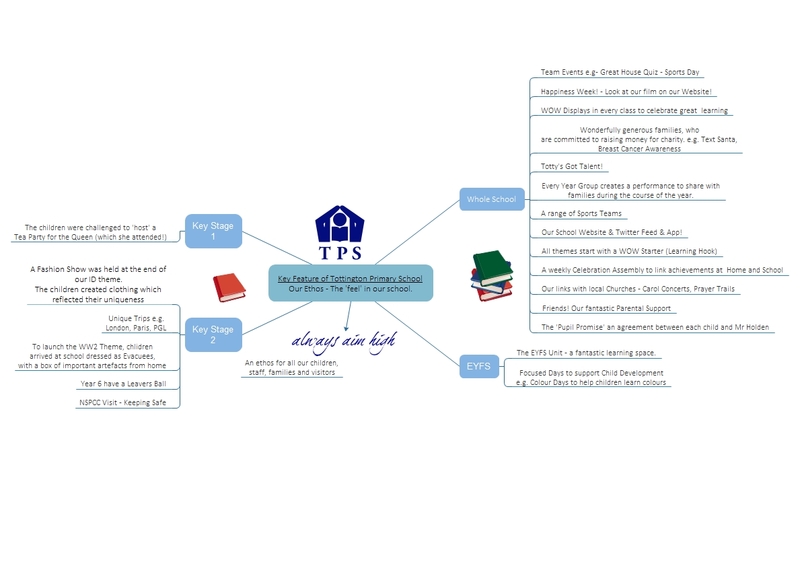 Should you require more information about the curriculum at TPS, please do not hesitate to contact the school via the details on the contacts page.